As some of you know, I work with seniors, co-leading a day program for individuals with dementia at the Cummings Jewish Centre for Seniors. In the social services department where I work, we assist seniors who are Holocaust survivors. I first started reading the true life experiences of Holocaust survivors when I became one of Jehovah's Witnesses twenty-four years ago. Jehovah's Witnesses were put into concentration camps (they wore the symbol of a purple triangle) for not giving allegiance to Hitler and for speaking out against the atrocities by the Nazis. 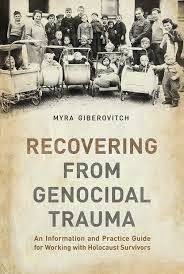 Therefore, for these reasons (both professional and personal) I really wanted to read Recovering From Genocidal Trauma by Myra Giberovitch, social worker, researcher and community leader who has worked with hundreds of survivors and who is the daughter of Auschwitz survivors. She was born in a displacement camp in Germany. Myra has put together her life's work in this book and I found it enlightening, strengthening and touching. There are many gems I took away as I read this book. Myra has developed the strengths perspective approach, in which she views survivors not as debilitated victims but as competent, adaptive, resourceful and resilient individuals. She goes on to say that “their survival serves as an example of the human being's ability to adapt, persevere, rebuild and move on to become a productive member of society. Their achievements provide hope for all survivors of severe traumatic life events”. So true. There are five parts to this book and its depth of information impressed me. It appealed to me very much as a professional in my field but also as a mom. Myra speaks openly about her family, their life histories and experiences, their losses and how their survival shaped who they are. Reading these sections brought tears to my eyes. Communication and listening are key to helping people, and it reminded me to keep doing this actively in my own family. I was struck by the knowledge that Holocaust survivors suffered greatly after liberation because of negative and often hostile attitudes displayed toward survivors along with the pervasive silence about, and denial of, the horrors they experienced. Today, genocide, crimes against humanity, including ethnic cleansing and war crimes are unfortunately still happening around the world. We need to learn to become an empathetic society ready to assist such survivors to start new lives in our communities. This is an important book and one that everyone who is concerned with people should read. Whether you are a professional who works in social services and health care (or any helping field) or a person who wishes to understand and embrace the resilience of the human spirit, this insightful testimony of a generation under trial is inspiring. Myra writes in the first person, using not just her own, but also the experiences and words of Holocaust survivors, together with her clinical work and research, producing a highly readable book appropriate to a general audience. It is one of the best non-fiction books I've read this year. Myra Giberovitch, M.S.W., P.S.W. is an educator, author and speaker. She is an expert on the tools and techniques of strength-based practice as it applies to trauma and recovery. She teaches how to integrate strengths-based practice concepts and empowerment strategies to help survivors of mass atrocity crimes recover from their ordeals. 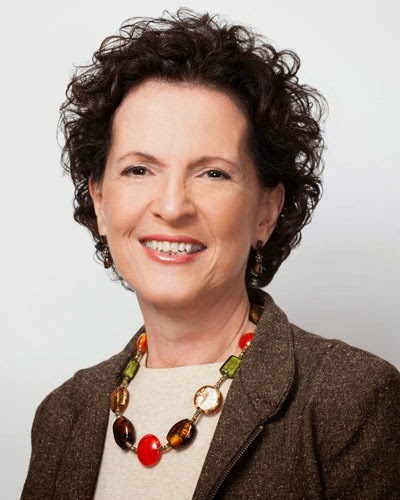 Myra is affiliated with the McGill University School of Social Work as an adjunct professor, sessional and guest lecturer, and field placement supervisor. She has published articles and is an invited speaker at national and international conferences. She also gives presentations and conducts workshops for healthcare professionals, survivor families, laypersons, and students. She has sensitized hundreds of people to the needs of survivors and offers practical responses that focus on resilience, challenges of ageing, and vulnerabilities related to traumatic experiences. Disclosure: I bought this book from the author and I also received an e-ARC from the publisher. I was not compensated in any other way, nor told how to rate or review this product.